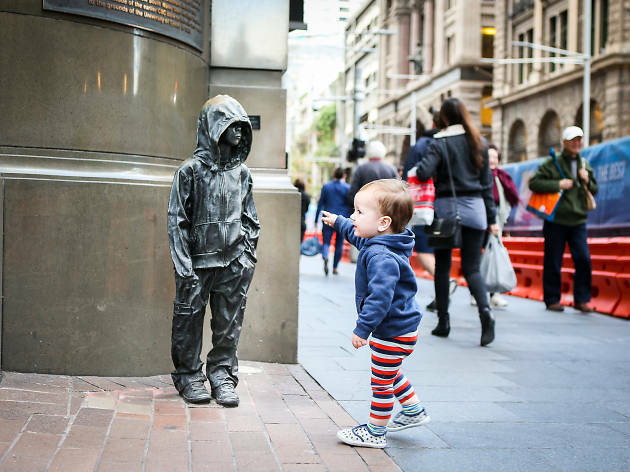 These bronze scallywags split opinion: some find them dead set creepy, others find them a playful addition to a zone of the CBD that’s all about banks, business suits and boutiques. Needless to say, we’re in the latter camp. That said, the scale of the figures – their features, age and size don’t quite tally – giving them an otherworldy quality. 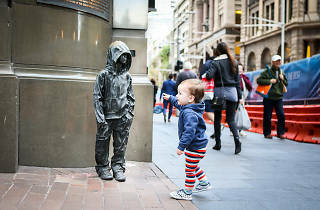 British born Sydney-based artist Caroline Rothwell originally produced ‘The Youngsters’ for a temporary public art project in the surrounding laneways, but the City of Sydney subsequently acquired them for permanent spots. Look inside the hoods and clothes – they’re coated with quartz and coal, a subtle comment on our mineral economy.